David Jon Gilmour, for those who might not be familiar, is a singer, guitarist and songwriter of English descent who made his name as the guitarist in the famous rock band, Pink Floyd. Pink Floyd has sold and was one of the biggest bands in music history, with the band selling over 250 million records. At the forefront of that success was David Gilmour, who was a vocalist and guitarist for the group. Despite being aged, his works are still well celebrated in this recent generation. Learn more about him, his background and career by reading below. One of the interesting things of modern life is how a child could be born to parents in a particular profession, and go on to make a name with global impact in a completely different profession. It is a progressive departure from the old world that emphasized on following your parents’ footsteps. The story is the same for David Gilmour whose parents were for the most parts, academics. His father, Douglas Gilmour was a lecturer at the University of Cambridge while his mother, Sylvia Gilmour trained as a teacher and eventually worked for BBC as a film editor. He was born on the 6th of March 1946 in Cambridgeshire, but after living in various locations during a ten-year period, his parents eventually settled at Grantchester Meadows where he was raised. The key to becoming great sometimes is all down to having someone who encourages you at an early stage. David Gilmour had that in his parents who encouraged in his passion for music despite his different choice of career. Before he was ten years old, he fell deeply in love with music and learned to play musical instruments. Of all the various types of musical instruments, Gilmour chose to learn the guitar and as the day went by, he gained expertise with the strings. Sources say that the song, Bye Bye Love by the Everly Brothers, inspired a strong passion for the guitar that eventually drove him to be named number 14 on Rolling Stone’s greatest guitarists of all time. 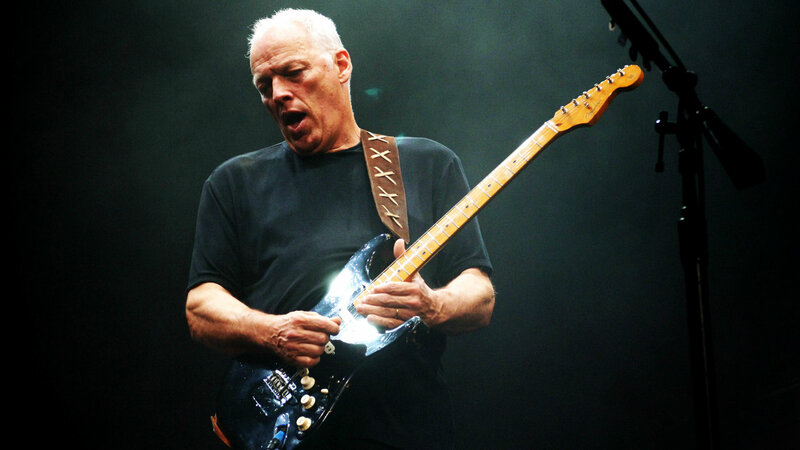 Although David Gilmour was not a fan of attending school, the insistence on attending the Perse School allowed him to meet two would-be members of Pink Floyd. He joined his first band in 1962. David’s passion for music and his desire to become a musician drove him on a journey around Europe where he and his friends, including Syd Barrett, performed in various small venues around Europe, which due to the financial unproductivity of it, led to Gilmour being treated in a hospital for malnutrition. He joined Pink Floyd in 1968 and was a member of the group during the release of some of its best reviewed and commercially successful albums, including The Dark Side of the Moon and Wish You Were Here. He was with Pink Floyd for 46 years until the band’s final break up in 2014, assuming the lead role of the band in 1985. Pink Floyd released a total of 15 studio albums and 3 Live Albums. David Gilmour himself, as a solo artist released four studio albums and 2 live albums. His career has seen him achieve several milestones, including becoming a Commander of the Order of the British Empire, which was awarded to him in 2003. 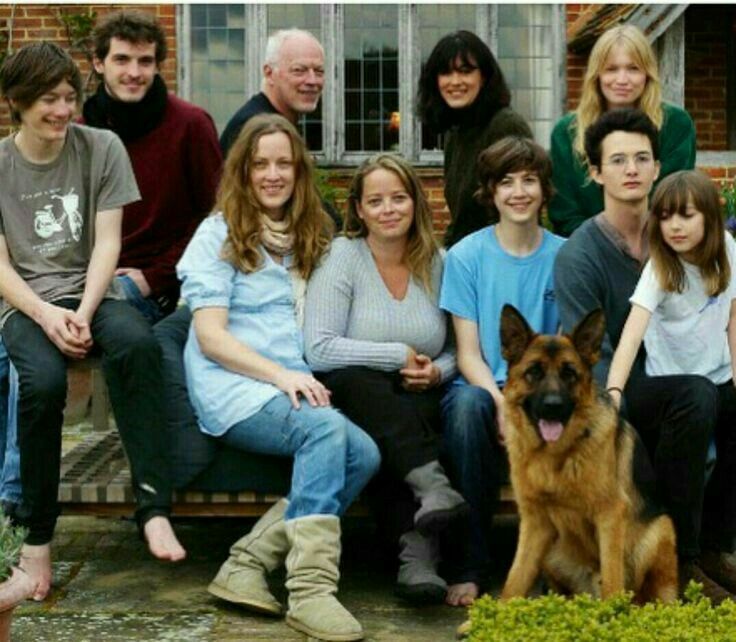 David Gilmour first got married to Virginia Hasenbein, an American model with whom he had four children – Alice, Sara, Matthew, and Claire. His marriage to Hasenbein ended in 1990 and he remarried in 1994, to Polly Samson, a journalist, and lyricist. His second marriage has also produced four children – Charlie, Joe, Gabriel, and Romany, making his total number of children eight. David Gilmour’s long-running career and incredulous success as a musician has helped him build a solid and enormous net worth of $150 million. David owes his wealth to several successful tours and commercially successful albums. His former band, Pink Floyd is part of an exclusive music group of musicians who have sold over 250 million copies of their music. For a long time during his youth days, David can be spotted with long dark brown hair that reached down to his shoulders. Today, David can be seen sporting grey short balding hair. He is 6 feet tall and has a body weight of 78.5 kg.